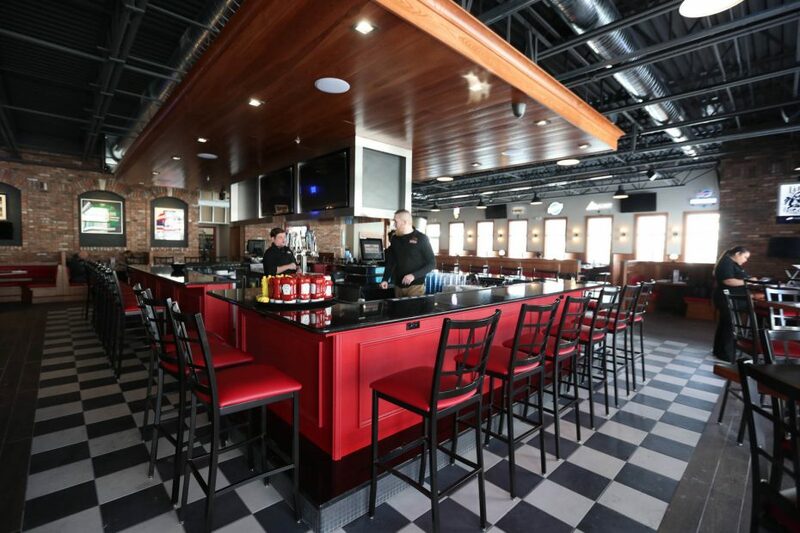 Imperial Pizza has opened its new South Buffalo dining room, adding table service and alcohol to its bid to be crowned Buffalo’s ruling pizza. 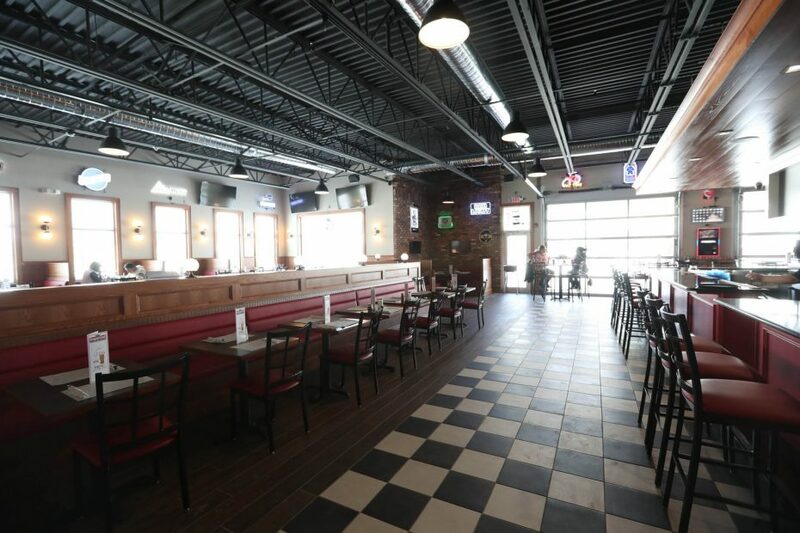 After 26 years at 1035 Abbott Road, on Jan. 26 the restaurant started offering you a place to sit and eat dinner, watch a game, and drink beer. 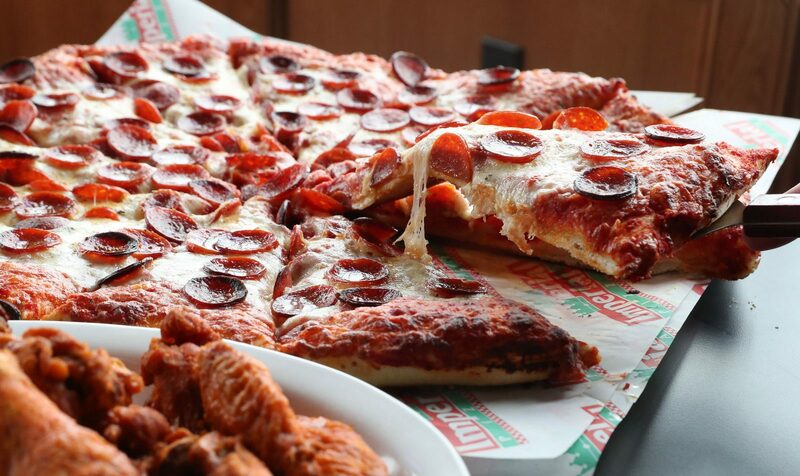 The menu of pizza, wings, sandwiches and subs, salads, and Friday fish has mostly remained the same. Additions include a pot roast sandwich, and specials like 20 wings, large fries, and a large pitcher of beer for $36.15. There’s 16 taps of draft beer, 25 bottles, and a wine list. An experiment in pastas was suspended. Imperial invested in the dining room partly to lure customers from across town who said they’d visit if they could sit down. Adding tables and a bar helps make Imperial a destination instead of a drop-by spot, he said. In a way, the Imperial story starts in the kitchen at Bocce Club Pizza on Bailey Avenue. “My partner (James Bouris) and I worked at Bocce in high school,” Powers said. That was the early 1980s. Then he moved to New Jersey to work on a Bocce-like pizza for an operation named Dolce, a company with a partner who got interested in Bocce when he was a University at Buffalo student. Powers eventually went into construction, before returning to Buffalo in the early 1990s. He took over the Abbott Road Bocce store in 1992, and renamed it Imperial. In 1994, they sold a second Imperial location, and used the proceeds to buy the Abbott Road property, he said. Another challenge is parking. The 35-space lot fills quickly, and others have to park on the street. Parking concerns are taken seriously enough, Powers said, that Imperial is considering becoming the first pizza parlor in Buffalo with valet parking. Hours: 10 a.m.-11:30 p.m. daily. Phone: 825-3636.